Need to use green and clean energy brought a commercially viable application. Solar panels can so easily be installed that it introduced a paradigm shift about how electricity can be generated! And of course, easily consumed! The user will not know whether the electricity he is using is coming from solar or from the electricity company. At the end of the month he will know that the electricity bill has gone down by more than 70%! Locations where the power transmission lines have not reached or there are long hours of power cuts especially when the power is most needed, sun god brings a blessing! 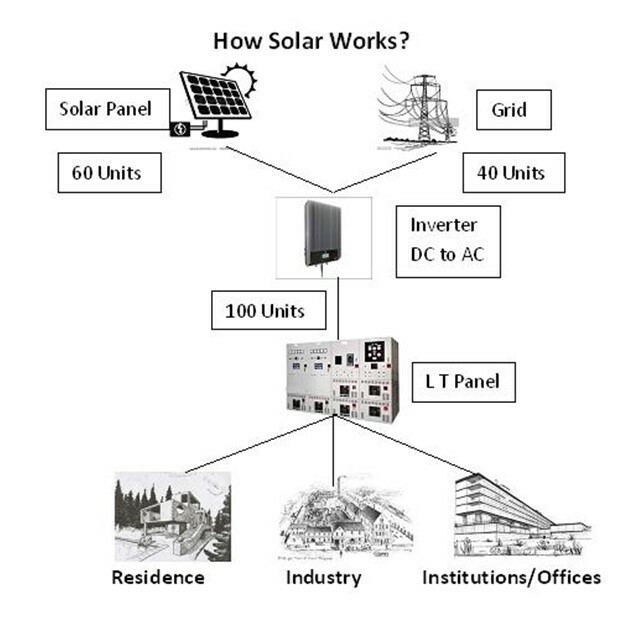 Solar can be the best solution for uninterrupted power supply! Five years back when the solar industry just got launched, it was unviable idea, as investment was very high as compared to return. Hence, it was very difficult to market solar power. One area was critically viable and that were petrol pumps in areas where there were power cuts. Except for important cities, power cuts is a common phenomena. Diesel generator is used to power the petrol pump. So even if one car comes and and wants one liter, the generator needs to be started. The cost of power to dispense one liter of fuel was very high and a huge loss to petrol pump owner. Solar system for petrol pump came as a great boon for petrol pump owners. They were currently paying around Rs.20/- per unit for power and they had no choice. If they now install a solar power plant solution for petrol pump, they can have 24X7 uninterrupted power supply and that too at around Rs.6/- per unit! A typical solar system consists of solar panels, an inverter, a controller and some batteries. During sun hours, the power is generated and supplied to the petrol pump and also stored in batteries. The power stored in batteries is used when the power is not generated ie. during non sun hours. This is effectively uninterrupted power supply. Even during rainy season, it is possible to generate at least 50% of power supply. This becomes a best solution of power supply to petrol pumps. Solar power plant solutions for petrol pumps range around Rs. 5 lacs of one time investment. 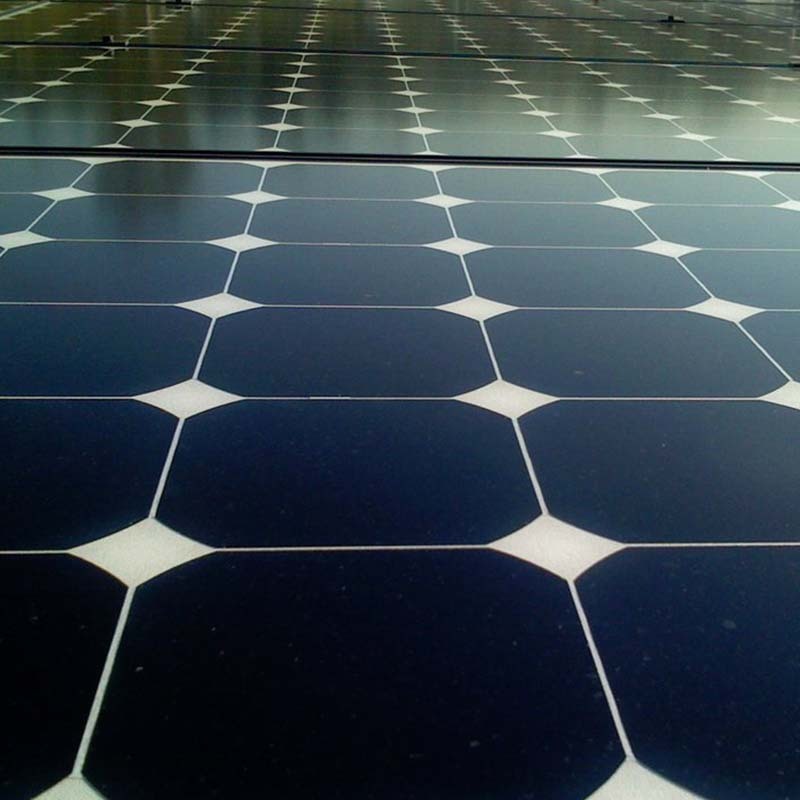 The recovery of this investment in solar power system is less than 3 years. Further, the petroleum companies offer a very low interest loan for petrol pumps. Accelerated and additional depreciation on solar power plants facilitates the write off in less than 3 years. There are more than 50000 petrol pumps in India. The oil and petroleum ministry has recommended that solar power system for petrol pumps should be promoted and installed at petrol pumps. One of India’s largest oil marketing companies Indian Oil is set to increase the number of solar-powered petrol pumps from 2,000 to 10,000. Only India oil has around 25000 petrol pumps. Solar power plants installations will change the way we use the power. Solar power plants for petrol pumps can be a major contributor in achieving target of 100 GW of solar power by 2022!